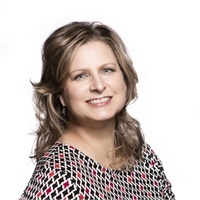 Lydia Thompson | Collier Wealth Management, Inc.
Lydia joined Collier Wealth Management in 2006 as a Client Services Manager for the Collier Wealth Management team. Lydia’s role is critical to the fulfillment of our mission to “help ideal clients get their financial house in order and keep it that way forever.” She is responsible for processing all account paperwork and transactions and is a great resource for our team and clients. She has a lengthy career in the financial services field giving her the ability to handle the most technical aspects of clients’ accounts while still focusing on the personal aspects of customer care. Prior to her experience in the financial services industry, Lydia worked in the field of accounting preparing taxes and financial statements. She obtained her securities registration in 2000 and currently holds it with LPL Financial. Born in Nashville, Lydia now resides in Gallatin with husband, Dave, and they have 2 adult children, Audrey and Blythe. Lydia is a member of Bethel Primitive Baptist Church and enjoys large family gatherings, cake decorating and sewing. Lydia has a heart for parents of troubled children and teens. She has attended numerous seminars that have equipped her to help parents in this situation. She has actively participated in national parent support calls and helped develop a website that provides resources and information to parents.